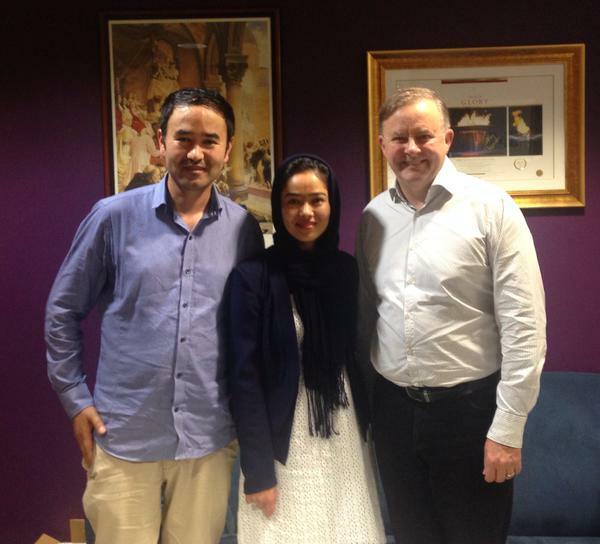 Mr ALBANESE (Grayndler) (10:35): Recently I had the honour of meeting Latifa Hekmat, her brother Abdul, and local community activists in my electorate office. Latifa asked me to share with you her story, which is as follows: Imagine that on one day you have a beautiful and peaceful life. You live in the countryside of Ghazni province in Afghanistan on a big farm sprawling with different crops, vegetables and animals. Your parents weave carpets and rugs under the trees during spring and you love to eat sweet grapes plucked from the nearby vines. Imagine that on the next day, you go to school. But on this day your school principal reads aloud a letter. It is from the Taliban. It says all girls’ schools must close. You are only seven years old but, because you are female, you cannot go to school. You cannot see a doctor. You cannot leave your home. You become paralysed by fear. And, before you know it, you become a refugee stripped of your identity, passport, and basic rights. Latifa met with me because she wanted to know how she could bring humanity to the discussion on refugees, an issue many constituents have raised with me. Australia has always done its part as part of the international community, and hundreds of thousands of former refugees have made extraordinary contributions to their new nation. The government should not simplify the discussion needed in our community by using three-word slogans. You can be opposed to people smugglers, which I am, but we need to be very careful about drawing a distinction between them and people themselves. The government must respond to the claims that it used taxpayers’ funds to pay people smugglers. These are extraordinary claims, and the government simply needs to be transparent with the Australian people about these events. Today Latifa is completing her honours degree in social science at UNSW. She already has a bachelor degree in social research and policy. In her spare time, Latifa helps first-year students transition to uni life by working as a volunteer mentor. She also volunteers at the Auburn Salvation Army as an interpreter and works at UnitingCare Burnside as a casual caseworker. Her brother Abdul came to Australia by boat. Today he works at the Migrant Resource Centre, helping the most vulnerable immigrants and refugees integrate into their local communities. The story of Latifa and her family, while exceptional, is not the exception. Every day refugees and migrants give back to the nation that they are proud to call home. This week is Refugee Week. The 2015 theme—’With courage let us all combine’—is taken from the Australian national anthem. While this reminds me of the courage shown by refugees like Latifa, it also makes me think that, by coming together as a community, we can bring dignity and compassion to our discussion on refugees.